You will make an important contribution to the improvement of health and welfare services for the local communities. 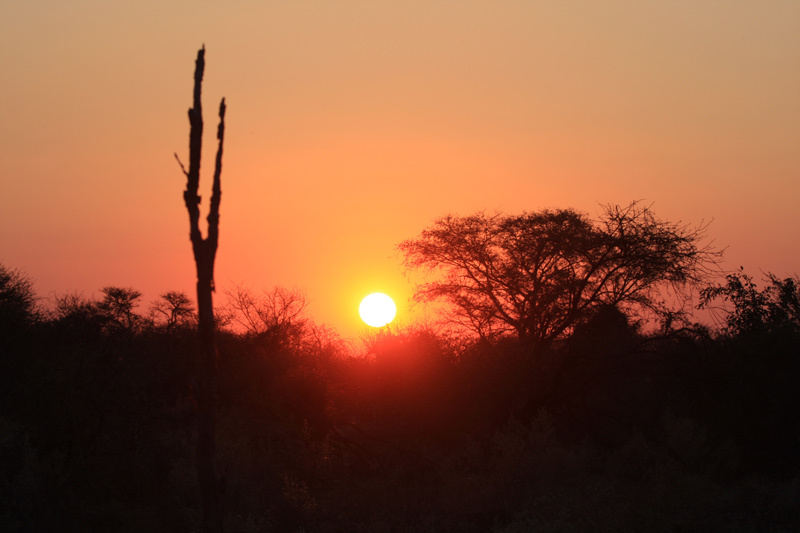 As a medical volunteer in Namibia you will help to provide valuable support and assistance to the Caprivi region’s doctors, nurses and health workers. Assist doctors, nurses, health workers and other professionals with their heavy and important workload. 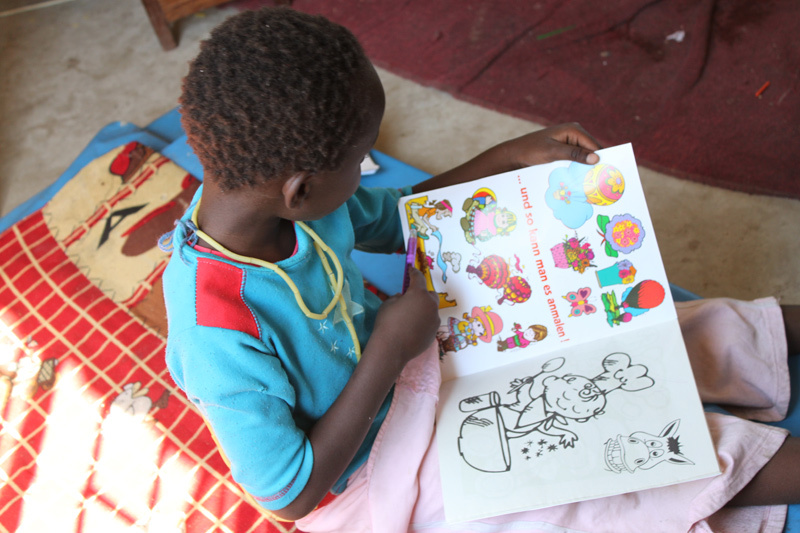 Provide support and care for disabled or vulnerable children. Gain medical experience in various departments at the regional hospital. Experience different cultures and adventure in this off the beaten track region of Namibia. Visit one of the wild Caprivi National Parks, or take a weekend excursion to Chobe National Park in neighbouring Botswana, or the spectacular Victoria Falls. Leave with the knowledge that they you have played an active role in assisting in areas where your help is genuinely needed. The aim of the Namibia Medical Volunteer Project is to promote good health programmes, create awareness and provide education about ways to prevent the spread of disease. Africa’s population, of approximately one billion people in 2009, continues to suffer from a huge burden of potentially preventable and treatable diseases. The result is not just high mortality rates and suffering, but also a significant negative impact upon economic development and the social structure of communities. It is estimated that more than two million people die as a result of AIDS in sub-Saharan Africa each year and UNAIDS reported about 92% of all AIDS deaths worldwide in 2007 were in Africa. In addition, WHO 2008 figures estimated that 385,000 people die from Tuberculosis and nearly one million from malaria in Africa each year. These figures are still so high, despite the availability of effective methods of prevention and treatment and medical advances being made. This is largely due to the diseases being rooted in poverty and regions with weak health systems. Other reasons include marginalisation and stigma associated with certain diseases and a lack of education and understanding. The HIV/AIDS epidemic is undermining previous advances made in life expectancy, which in sub-Saharan Africa has now been reduced to about 43 years of age. Communicable childhood diseases also carry a heavy toll. Millions of children die each year before the age of five in the African region, as a result of diarrhoea, pneumonia, measles and malaria. Malnutrition is linked to more than 50% of all childhood deaths. In the face of these diseases other important health problems can be overlooked, such as the hundreds of thousands of women who die in childbirth each year. Standards of care and support for people with mental health problems and physical disability are also poor in many areas. There is a significant shortage of skilled health workers in Namibia, with the doctor to patient ratio at about one doctor per 7000 people. This means that the majority of the population do not receive the standard of healthcare that most of us are used to, if they receive any at all. Most people will not visit the hospital unless they are seriously ill; usually consulting local healers for traditional treatments if they are unwell. 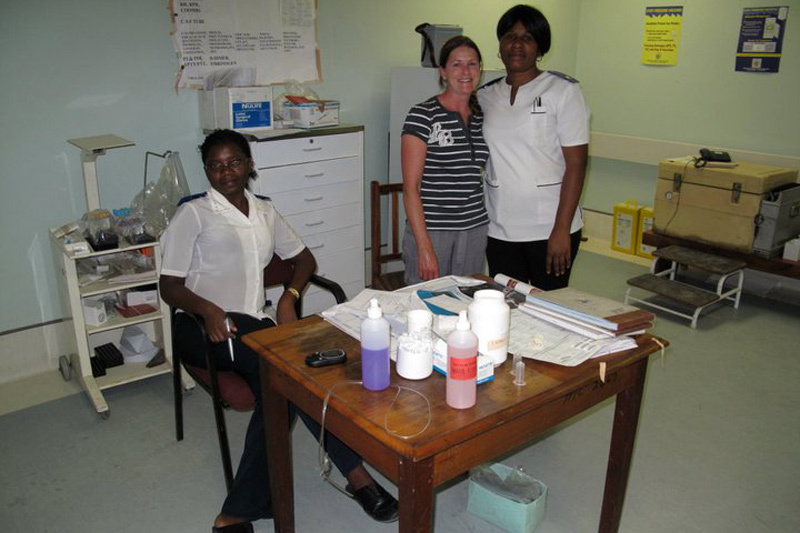 Katima Mulilo hospital has most of the facilities that you would expect to find. The private doctors, working at clinics in the town, are predominantly expatriate doctors from South Africa who act as general practitioners, consulting on a variety of medical cases. In contrast the small, rural medical clinics, which are located at various sites throughout the Caprivi region, are usually staffed by a single doctor and have limited capabilities. Serious cases need to be referred to Katima Mulilo hospital, which is a very long journey for many people. 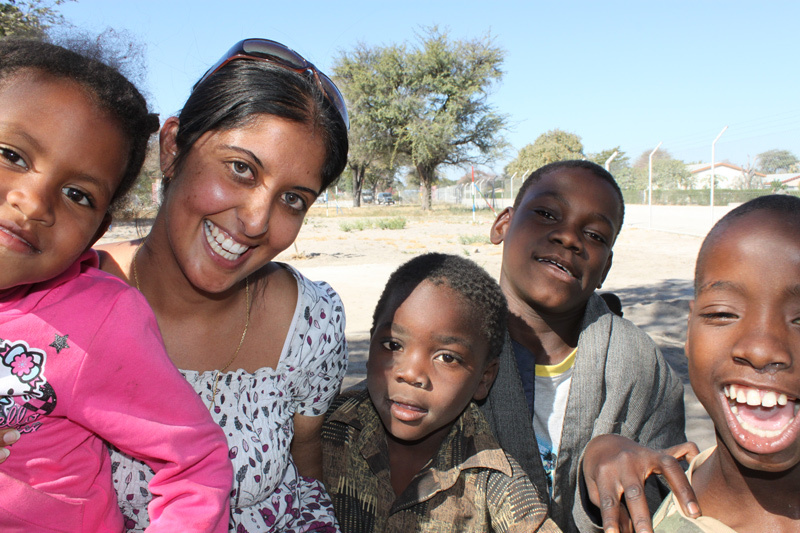 The above background provides an idea of why your help, as a medical volunteer in Namibia, can be of value. Your time at the project will be split between Katima Mulilo Regional Hospital, centres for diasbled or vulnerable children, or local medical clinics, depending upon your experience, interests and project needs at the time. he background to the work that you will be involved with at Katima Mulilo Regional Hospital and in the local clinics is given in the overview section. As a medical volunteer your role and the activities that you assist with will be diverse and will be dependent upon your experience, fields of interest and the needs of the project at the time you are volunteering. In the hospital you may observe and assist the resident doctors and nurses in outpatients, male and female wards, paediatrics, maternity ward, eye and dental clinics, accident and emergency and with HIV clinics at the hospital and rural clinics, as well as other departments. We will ask you to let us know if you have any specific interest or experience in any of these areas. Activities in the above areas may include tending to patients while they wait to see a doctor, providing care for new born babies, bandaging and dressing of wounds, observing consultations, HIV/TB counselling and education and helping out with general administration and ward duties. The level to which you will be permitted to become involved will depend on experience, as well as the amount of time that you spend at the medical project. However, you will gain firsthand experience of medicine and hospital practice in Namibia, which will be of value if you are considering the project as part of a medical elective. The scale of the HIV/AIDS epidemic in Africa is outlined in the background section. The Caprivi is particularly affected; according to a Red Cross article, “The Caprivi region is one of the hardest hit parts of Namibia, with 43 per cent HIV/AIDS prevalence, compared to 22.5 per cent nationwide.” The disease, as well as others, leaves thousands of children without parents. UNICEF reports that, “more than 20 per cent of youth under 19 years old have been orphaned, because family members have died from the virus.” Extended family and communities try to support these children, but the burden is often too much to sustain, leaving children without medical care, school, adequate nutrition, or even shelter. 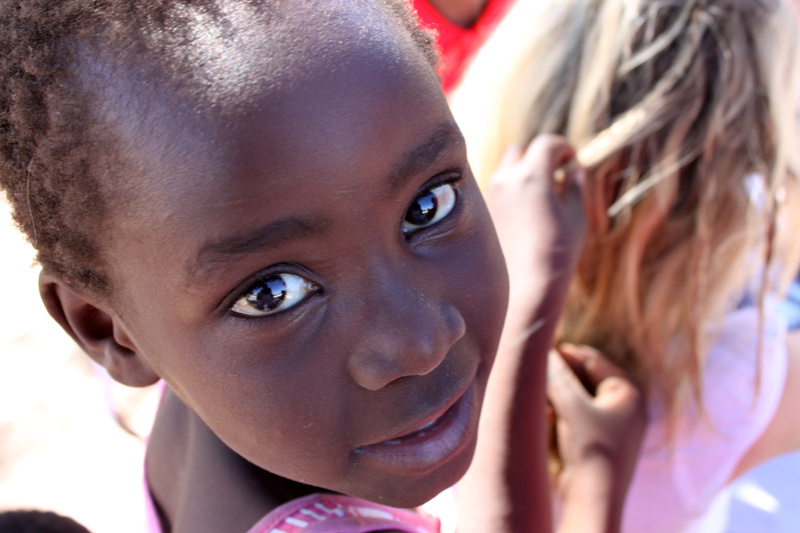 At the Namibia Medical Volunteer Project you will also assist at local centres, providing care and individual attention for some of the vulnerable children, or at a centre for children with disabilities. Activities may include basic English lessons and reading, health education, participating in activity sessions, such as playing games, sport, art, drama and music. You may also be required to help with the maintenance and development of the facilities and cooking for the children. All volunteers can be of real value in these areas, but if you have a physiotherapy, psychology, or nursing background your experience and skills can be put to very good use here as well. There is not really such a thing as a typical day, but to give you a general idea of the routine you will start with breakfast at about 07.00 and you will leave the house for the hospital, clinics, or centres at 08.00. You will be assigned duties for the morning until you stop for lunch around 13.00. Afternoon activities are usually from about 14.00 to 16.30. You will then return to the house and the evening is your own time, with dinner served at about 18.00. You should be prepared for the daily itinerary to change at short notice, depending on the needs of the project. Activities may vary and new structures may be implemented, depending upon your experience and as the project evolves. If you would like to bring any materials or donations with you for the projects please let us know and we will advise what would be of most use at the project at the time. Please speak to the project co-ordinators about anything you have brought as a donation when you arrive in Namibia to ensure that it is given in an appropriate manner. I have enjoyed working on the maternity ward, assisting the nurses with deliveries and being allowed to witness child birth up close and personal! I would recommend this to those already underway with their medical career or considering one. For prospective medical students it is excellent experience as the possibilities are much greater in terms of being allowed to be involved in things you would never be privileged to in the UK for example. I hope to take with me and understanding and awareness of the struggles faced in this part of the world so that maybe when I am in more of a position to help I may come back and do so. Friendly and laid back atmosphere among volunteers and with staff at the hospital. As a 4th year medical student I am able to get plenty of experience in different areas, and I am also learning a lot from the Doctors, who are very happy to teach and answer questions when they are around. I have gained more experience in the skills I already have, plus learnt new ones. 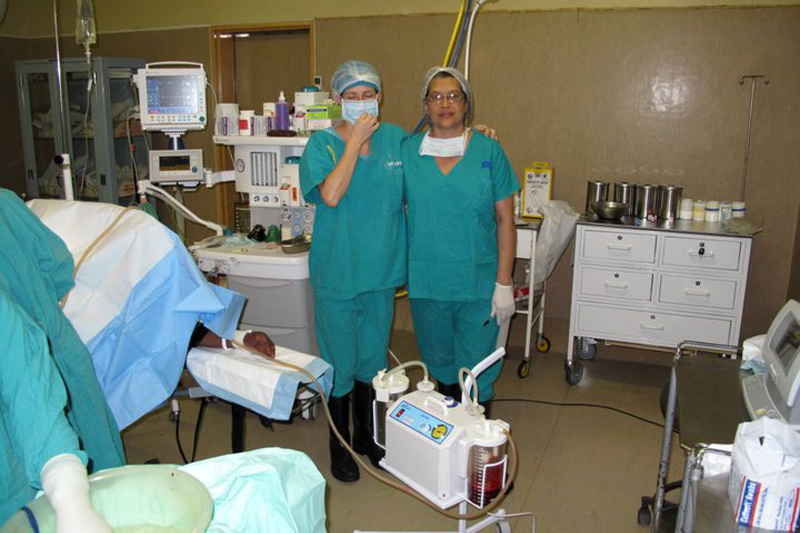 It is very interesting to see how procedures are carried out differently in another country. The huge difference in culture to the UK makes this a very different and valuable learning experience. The house we are staying in is above expectations – very comfortable, and even has satellite TV! I have enjoyed all my experiences so far and some have been very moving, from making friends with the staff to delivering babies and helping with duties on the maternity ward. I would recommend this project to anyone with medical experience. I enjoyed my 3 weeks very much. All in all it was very worthwhile. In have opened my eyes in a new way. It is hard to believe the vast differences between lifestyles here and where I live at home. I am so glad I was able to learn what goes on here on this side of the planet and hopefully I will be able to use this experience in future. My first impression was that the hospital lacked resources and was very underprivileged. However, seeing the inner workings and being part of it showed me that although different from home, it is a normal hospital with skilled nurses and doctors. Every weekend created great memories, rafting in the Zambezi was very fun and funny. There were sad moments in the hospital, especially pediatrics. This normal everyday occurrence was very heartbreaking, but taught me a lot! My community at home is very protected and sometimes it feels like I live in a bubble. I think this experience was very important for awareness and self growth. I think the things I have learned and taken away from this will help me to feel less in a bubble at home. Thank you, it was a great experience! Overall my volunteering experience has been wonderful. I have to say that from the moment I got off the plane, I was made to feel at home. As a registered and qualified physiotherapist, I was elated to spend time with the in-house physiotherapist at the disabled children’s home and help her with her abundant workload. I am also permitted to go with her on outreach programs weekly into the rural villages. To date, we have done hearing tests, checked up on past patients and fitted children with new support braces. Upcoming, I have an outreach program planned with the hospital social worker, a potential outreach with the HIV clinic into rural clinics and ward rounds in the maternity unit. I am very excited about my remaining time and will make the best use of my time. I really feel like my possibilities and options are endless. The medical volunteer project is based in the small town of Katima Mulilo, which is the regional capital of the exotic Caprivi region in the north-east of Namibia. The town is situated along the banks of the mighty Zambezi River and hippos are abundant in the calm stretches of the river. The Zambezi is popular for tiger fishing, or relaxing river cruises and the surrounding area also offers outstanding birding, with common species including heron, pelican, egret and African Fish Eagle. Katima is a fairly busy little trade town and has a good infrastructure with supermarkets, shops, hospital, petrol stations, telephone connections, banking facilities, an airport and good roads. It also has a local market for crafts and supplies. Most local people speak some English. The Caprivi region (or Caprivi Strip) is a narrow piece of land, about 400 kilometres long, running between Botswana and Angola. It is the wettest region in Namibia, which makes it scenically very different from the rest of the country and has a number of major rivers, including the Okavango, Kwando and of course Zambezi. The region has a present population of approximately 66,000 people, mostly making a living from subsistence farming on the banks of the rivers. 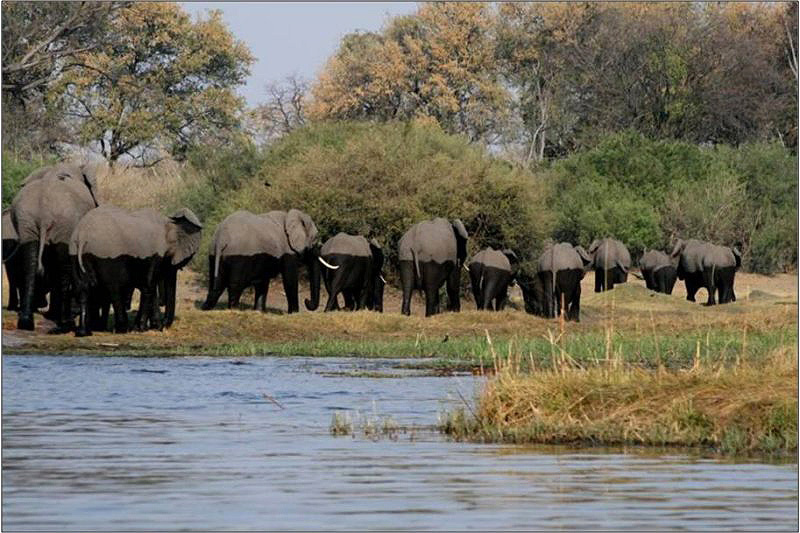 The Caprivi boasts a huge diversity of wildlife, including an abundance of elephants, which roams freely between neighbouring countries with no fences around the National Parks to keep them in. On arrival in Katima Mulilo you will have a full orientation, which will include information about the project and your role as a medical volunteer in Namibia. You will be taken on a tour of Katima Mulilo, so that you know your way around and where the shops and services that you may need can be found. The orientation will also cover important information, regarding your health and safety, a basic language (Silozi) lesson, workplace ethics, things to do in your free time and an introduction to the staff that you will be working with. You will stay in a comfortable shared volunteer house on a farm with views over the river on the outskirts of Katima Mulilo. You will usually share a twin room, but there may be up to a maximum of four volunteers sharing on occasions; all bedding and mosquito nets are provided. There is a house keeper who will assist with the cooking and cleaning, but all volunteers are expected to do their bit to keep the house tidy and most meals will be prepared by volunteers on a rota basis. Personal laundry is not included, but can be arranged at a small fee per bundle. Three meals a day are provided. Breakfast is on a self-service basis and usually consists of cereals/porridge, yoghurt, fruit, toast, tea and coffee. Lunch is also help yourself and generally consists of sandwiches, fruit and cheese. You may wish to prepare and pack your own lunch to take with you. Dinner is a full meal and will generally be prepared on a rota basis by volunteers. Most dietary requirements can be accommodated, but please be aware that specific ingredients, or supplies may be difficult to get hold of or seasonal. Bathroom facilities are shared, but with western style flush toilet and shower. The house also has electricity, but you should be prepared that there may be power cuts, or water shortages from time to time. During the week you can explore the town, craft market and surrounding areas. Evenings are usually spent at the volunteer house, relaxing, reading, watching TV, planning activities for the following day and socialising with the other volunteers. There are a few lodges situated on the mighty Zambezi River that you can visit for a peaceful sundowner at the end of the day. Weekends are your own time and you may spend them as you wish. Day trips or weekend excursions and safaris can be arranged and the project co-ordinators will help you organise this. The Mahango and Caprivi Game Reserves, Mamili and Mudumu National Parks, located in Caprivi, are definitely worth a visit. Activities in these parks include fishing, wildlife safaris, birding, hiking, camping expeditions, house boat safaris, or exploring the waterways in a traditional ‘mokoro’ (wooden dug-out canoe). Trips to the Chobe Game Reserve in neighbouring Botswana and the magnificent Victoria Falls are less than an hour’s flight away, or are easily accessible by road. A full activity list with prices will be provided during your orientation. You should arrange your return flights to Katima Mulilo (Mpacha) Airport (please do not do so before we have confirmed your booking). A project staff member will meet you at the airport and will transfer you to the volunteer house, which is approximately 45 minutes drive from the airport. You will be transferred back to Mpacha by road at the end of your volunteer programme. Please make sure you arrange your arrival and departure flights for the advised dates. Whilst you are at the medical project in Namibia the co-ordinators will be available to provide assistance and support 24/7. You will also be supported and supervised by the doctors and nurses that you will be assisting on a day to day basis. Should anything arise that they are unable to resolve then you can contact our UK office by email, or telephone. You will also be provided with an emergency contact number in the UK before you depart, which should be used for genuine emergencies only and out of normal office hours. This project is suitable for experienced medical and health professionals and students, or to anyone with a desire to help disadvantaged communities. Dress code is important and whilst at the hospital, or in the community, females should wear clothes that cover their knees, shoulders and cleavage. Males should wear trousers and dress presentably. Please remember to be respectful and considerate if you wish to suggest any improvements, or new ideas that you feel would benefit the project. The project does have a code of conduct, which will be covered during your orientation and we ask that you please respect this. Minimum age is 18. There is no maximum age, as long as you are fit and healthy enough to participate in project activities.